Queen Bess Row, built in 1886-87, was designed by the Melbourne architects Tappin Gilbert & Dennehy. Queen Bess Row is made up of three houses that appear to be one large four storeyed mansion with a central Flemish-influenced gable and two minor pediments over the flanking wings. Prominent chimneys, dormers, arcaded and grouped windows, steeply pitched roofs, red brick walls and stone dressing all contribute to a picturesque outline. On the main facade there are a substantial number of round-arched openings with stone or render dressing and keystone mouldings. String courses run around the building. The interior is of a predominantly Jacobean character with leaded lights, mantels and panelling. 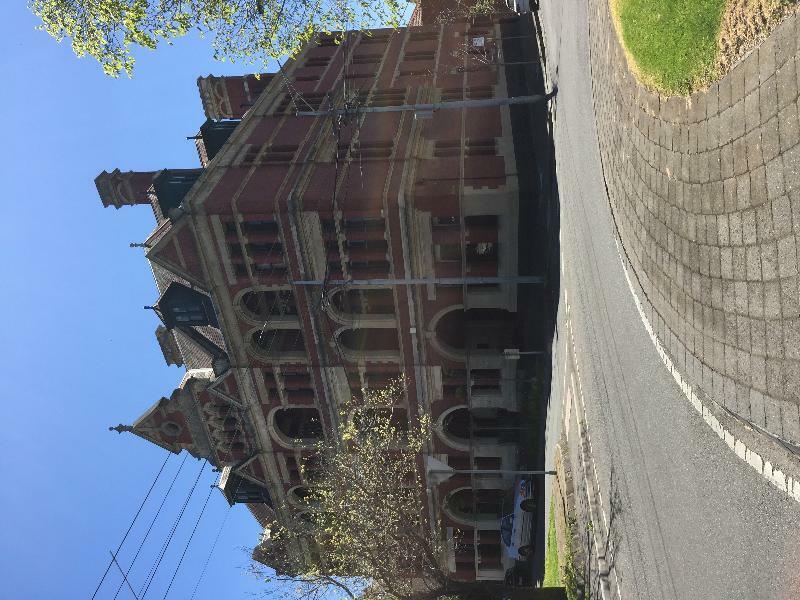 Queen Bess Row is of architectural and social significance to the State of Victoria. 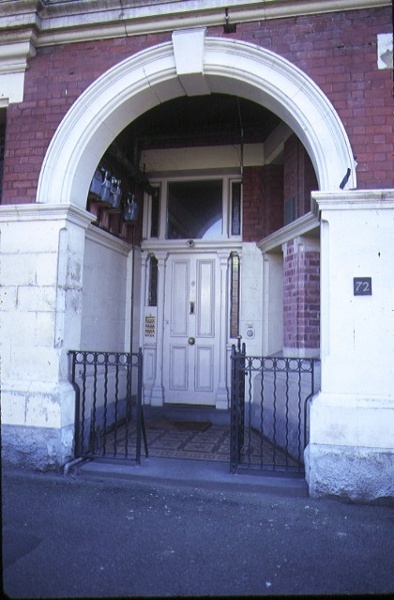 Queen Bess Row is architecturally significant as a fine example of the work of the notable architectural firm of Tappin Gilbert and Dennehy, who during the 1880s, designed a number of important buildings throughout Victoria. Queen Bess Row is the first fully developed example of the Queen Anne Revival in the style of noted English architect Richard Norman Shaw and marks the advent of a style that was to dominate 20 years of Melbourne's domestic architectural history. Queen Bess Row has social significance for its associations with the Temperance Movement. 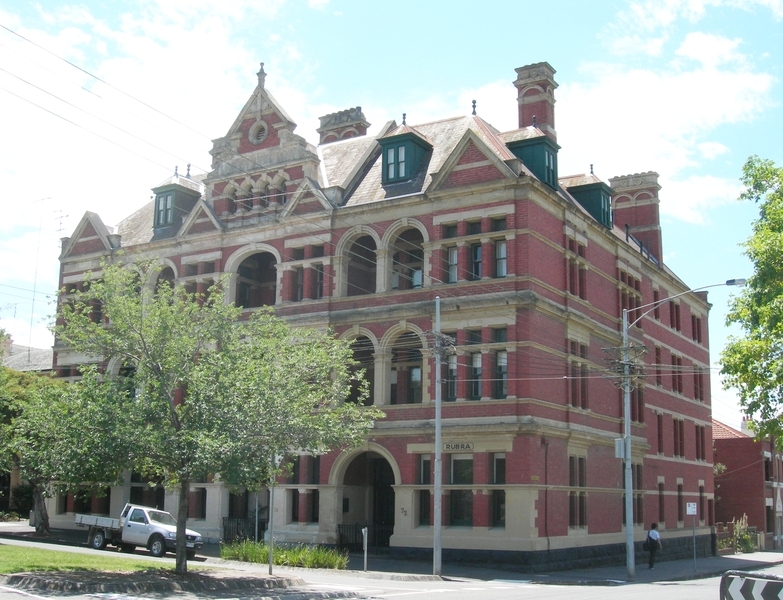 The Temperance Movement was an influential organisation in Victoria and had lobbied hard for the 1885 Licensing Act. Queen Bess Row is an early surviving Temperance Hotel, known otherwise as a Coffee Palace. Queen Bess Row is socially significant for its use as apartments from the late 1880s, a fall-back purpose that was incorporated into its design. 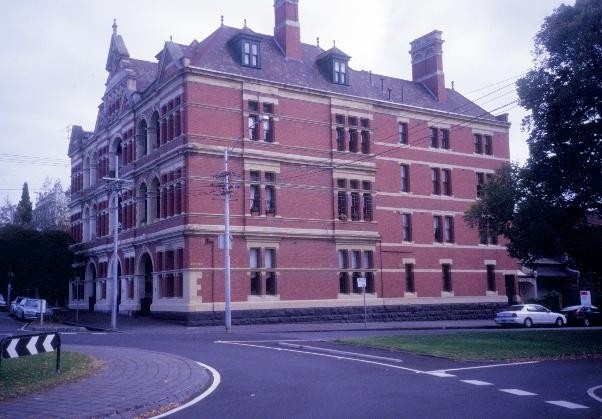 It was one of the first buildings to be used as apartments in Victoria, before later becoming a terrace of three houses. Historic Building No. 602, Queen Bess Row, 72-76 Hotham Street, East Melbourne (to the extent of the whole of the building and land (Titles, Volume 7995, Folios 169, 170 and 171)). In Melbourne the churches, especially the Non-conformists, were the mainstay of the temperance movement. 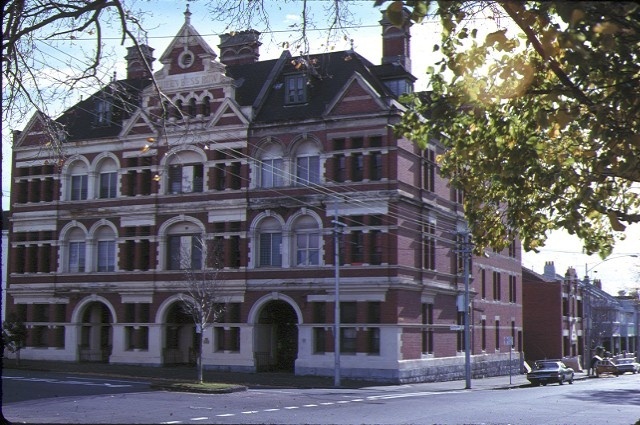 The largest Temperance Hotel, (otherwise known as Coffee Palaces) was built at the corner of King and Collins Streets in 1888. The existing Grand Hotel (later renamed the Windsor) burnt its liquor licence to join the movement. It was later forced by economic circumstances to reapply for its licence. In 1886 a Miss Cornwall commissioned architects Tappin, Gilbert and Dennehy to design this row of three, four-storeyed houses and they were built in 1886-87 by A J Muller. They were designed as a unit and are unusual because of their four storeys and massive form. The International Exhibition of 1888 was imminent and a proposal was put to convert these houses into one large coffee palace (a popular project for speculative building at the time) as Queen Bess Row was located close to the Exhibition Buildings. This did not eventuate and the last evidence of it was removed in 1896 when the openings in the party walls were blocked. 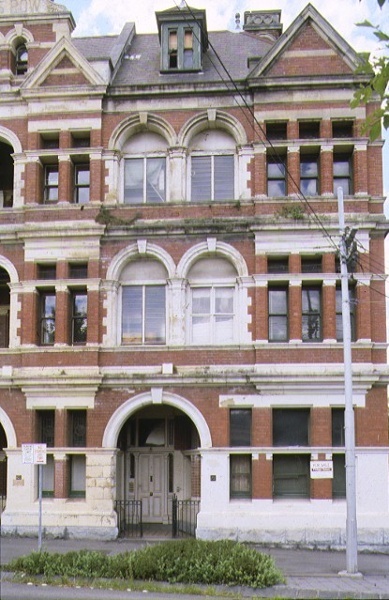 The building appears to have always been used as apartment houses and was one of Melbourne's first. 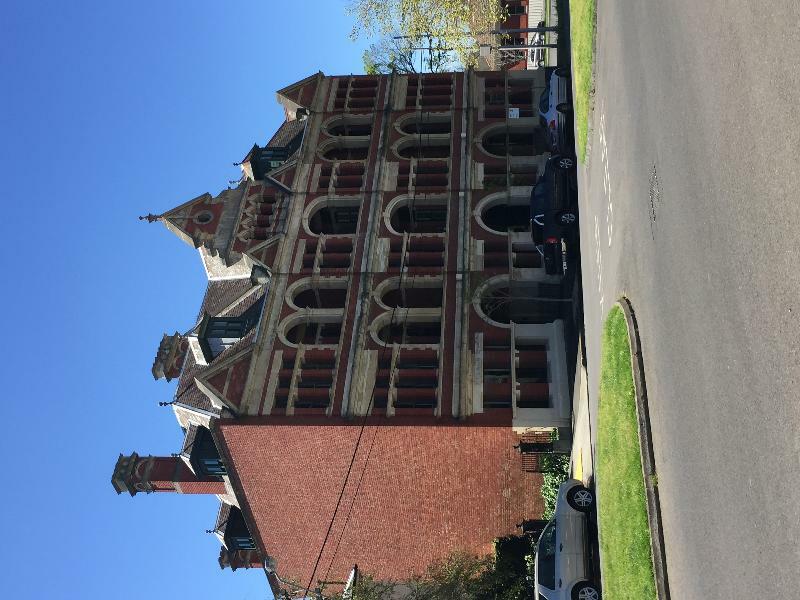 Tappin, Gilbert and Dennehy built a number of important buildings in Victoria. In the interior area marked B on the endorsed attached plan: Repairs to all surfaces replacing like for like, recarpeting, repainting, erection of stud walls,erection of built in cupboards, renewal of electrical wiring, renewal of plumbing and gas services. Installation of new kitchens and bathrooms provided that the works do not impact on the exterior of the building, do not cause structural alterations and do not change the interior planning. The installation of new kitchens and bathrooms may also cause new floor and wall finishes, new fixed cupboards and shelving, lighting, wiring, gas and plumbing to be installed with-out the need for further permits. 2. Structural changes and alterations to the planning layout of the building do not form part of this declaration. 3. Exempt classes of works or activities are to be planned and carried out in a manner which prevents damage to the registered place/object. However, if other previously hidden original or inaccessible details of the object or place are uncovered, any works that may affect such items shall immediately cease. 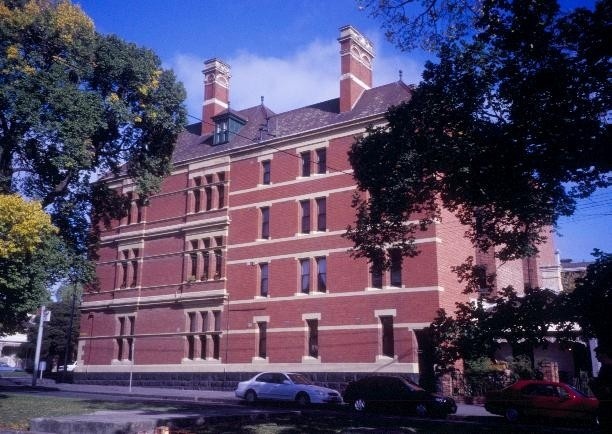 The Executive Director shall be notified of the details immediately to enable Heritage Victoria representatives to inspect and record the items, and for discussion to take place on the possible retention of the items, or the issue of a modified approval. 4. If there is a Conservation Policy and Plan approved by the Heritage Council or Executive Director, all works and activities shall be carried out in accordance with that Policy and Plan. 5. Nothing in this Declaration prevents the Executive Director from amending or rescinding all or any of the permit exempt alterations provided work has not commenced on the alteration.